Wichita Pest Control is proud to provide effective and affordable pest control services to the Wichita area. We use the best industry practices while providing professional and personalized services. Our technicians take pride in determining exactly what your personal pest control needs are and catering to those needs with a specialized plan created just for you. Our goal is for you to be comfortable in your home, and we want to be a partner with you to make sure that is the case. Our friendly, professional technicians are state registered and certified and we know that you will be comfortable with them keeping your home safe and pest free. Whether you have a current pest problem or are looking to protect your home from future invasions, we will create an extermination and pest management plan that is right for you. We offer one-time, monthly, bi-monthly, quarterly, and even exterior only services depending on the needs our technicians and you determine in your initial consultation. Our pest management services will control household pests such as ants, bed bugs, crickets, fleas, roaches, rodents, silverfish spiders, and other insects. ​Of course, everything we do is guaranteed. 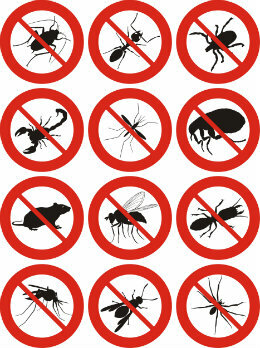 If pests return in between your regularly scheduled treatments, we will return free of charge. If you ever have a need for new or additional services, just give us a call or talk to your personal pest control technician. At Wichita Pest Control, we will provide services to all of Wichita and the surrounding areas. If you live in Andover, Augusta, Bel Aire, Belle Plaine, Cheney, Clearwater, Coldwich, Derby, Eastburough, Goddard, Haysville, Kechi, Maize, Mulvane, Park City, or Valley Center we have your pest control and pest maintenance needs covered. If you live somewhere else, go ahead and give us a call, we can probably still help you out. Our greatest concern is making sure your family has a safe, pest free living environment, and we will do whatever we can to make that a reality, no matter your location. If you have seen ants in your house, you need to give us a call. Ants can enter the home through the smallest of openings and any ant treatment plan should involve the extermination of the entire ant colony. Ants will enter looking for food or shelter and once they have found a food source, they will leave a chemical trail for the others in there colony to follow. This is why it is important to find where they are entering and follow a ant control plan to completely eliminate the colony. 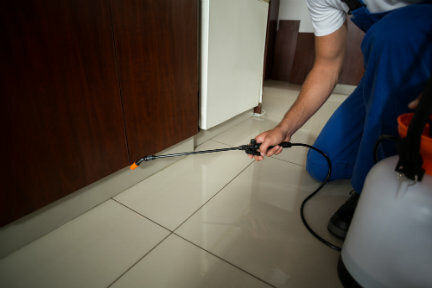 Our trained technicians will take care of you and make sure this pest is completely controlled. There are many species of spiders in the US that can be considered common household pests. While spiders are often considered a beneficial pest, many people have a fear of or uneasiness around spiders and do not want any inside their home. While most spiders are harmless to humans, there are two poisonous species that may be found in Kansas (the brown recluse and the black widow) You should make sure that these species are controlled and exterminated from your home if either is found. Black widow spiders are easily identifiable by their large, shiny black bodies and yellow or red hourglass like shape on the abdomen. They are rarely found inside, but will bite is provoked and medical attention should be sought if you are bitten. Brown recluse are yellow to dark brown and with their legs could be up to 1 inch in length. They often have a distinctive violin-shaped marking on the back. Indoors, Brown Recluse can be found basements, closets, attics, garages, cellars, and even bathrooms and bedrooms. As their name suggests, they like to stay hidden, but will come out at night to feed. If you are in need of spider control at your home, our pest control technicians will be happy to inspect and provide both extermination and maintenance treatments. The mouse common signs of mice are mouse tracks and mouse droppings, as well as other signs of rodents such as chew marks. Mice will often come into a home seeking shelter as the weather turns cold, but the are most likely drawn be a food source. The first step in mouse control is to eliminate entry points into the home. Mice can fit through very tiny holes or cracks, often no bigger than the size of your finger. All opens greater than 1/4" should be sealed to exclude mice. Our pest control technicians can assist you in this and provide you with advice about what additional measures should be taken. We will also set traps or place bait in areas that mouse activity is likely to occur. If you have found small irregular holes in wallpaper, this is a sign that you may have a silverfish infestation, as they like to eat the glue. You may also find the cast skin of Silverfish left from when they molt. Silverfish love humidity, so they may be found anywhere that is dark and humid within a house. Basements and cellars are common, as well as kitchens and bathrooms. They need a large supply of food to survive and their diets consist of starch or mold including thins like moist flour, cereals, starch from book bindings and paper on which there is glue or paste. They are nuisance pest because they feed on wallpaper pastes, natural textiles, papers, and books. If you have found evidence of silverfish call or fill out the form and one of our pest control technicians will come assess the situation and set up a silverfish control plan to rid your house of this pest. ﻿If you have made it this far, you probably have other questions so give us a call. 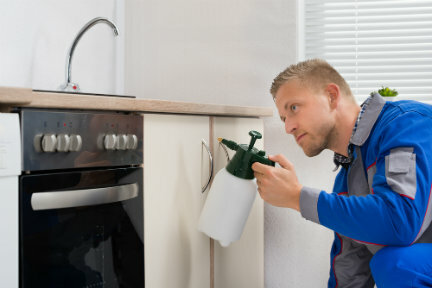 We know there are a rot of pest control companies out there and we take pride in assisting families all over the Wichita area in their pest control service needs and providing the best customer care available.